Soften, moisturize and protect Baby's delicate skin with this safe and soothing all-natural baby oil crafted from non-GMO Rice Bran Oil, infused with organic herbs, known historically for their calming properties. 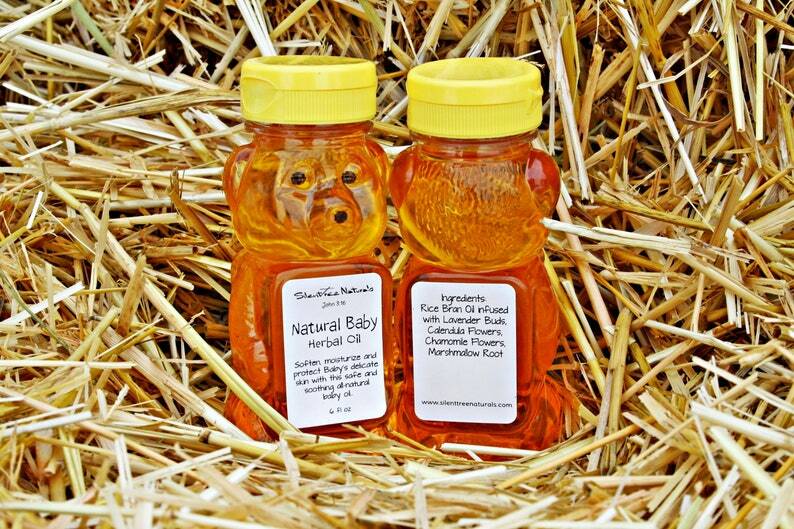 Comes in a cute little food-grade Teddy Bear bottle (these bottles are not squeezable). We also have Natural Baby Herbal Salve sold separately or as a set...makes a wonderful shower gift!